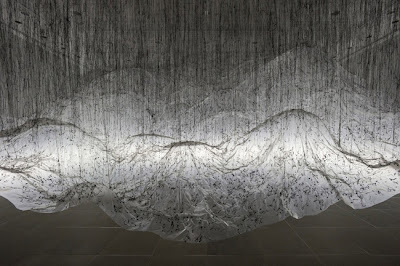 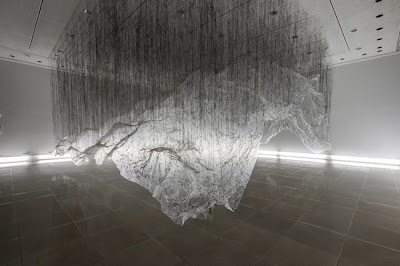 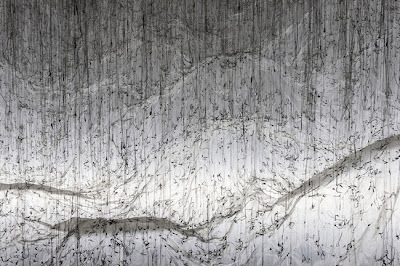 Onishi Yasuaki has created a stunning sculpture using plastic sheeting and black hot glue. 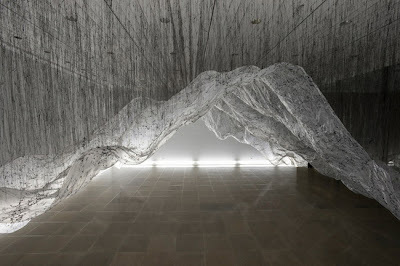 Draping the sheeting over stacked cardboard boxes, the sculpture is created by negative space, done in 'reverse'. 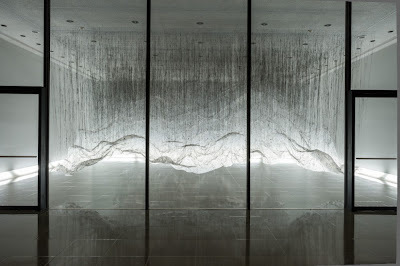 A very interesting concept and a beautiful result, the sculpture invites exploration and discovery of negative spaces and the intricacy of form- cast from such delicate materials into such strong and rigid composition. 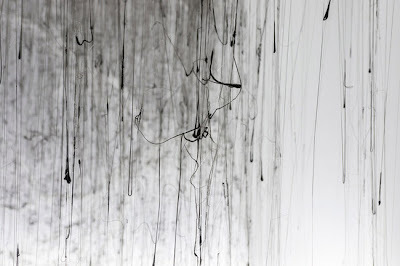 Photos by Nash Baker via Archinect.